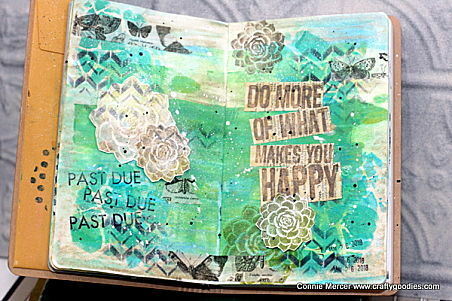 crafty goodies: Try It Tuesday~ Art Journal, another page! This was another page that was started by cleaning the brayer (from gel press project) using acrylic paint by DecoArt. I filled in with Distress Oxides. 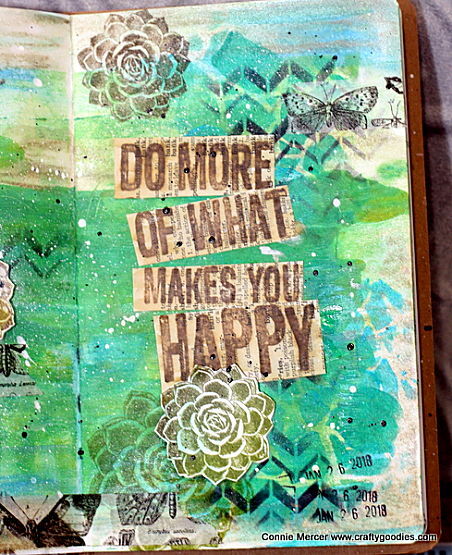 Washi tape, stencils and stamps were used to complete the background. The Past Due stamp is a vintage office stamp. I thought it went perfect with my page. The quote stamp is stamped on vintage text paper. I'm going to keep on TRYing !!! This is wonderful! My eye first hit the "PAST DUE" stamp and I knew I wanted it. Now I have an excuse (like I need one) to go junkin'. I love it!!! How fun and cool. I have a book layin about doing nothing. Maybe I should break it out. Love love love this! 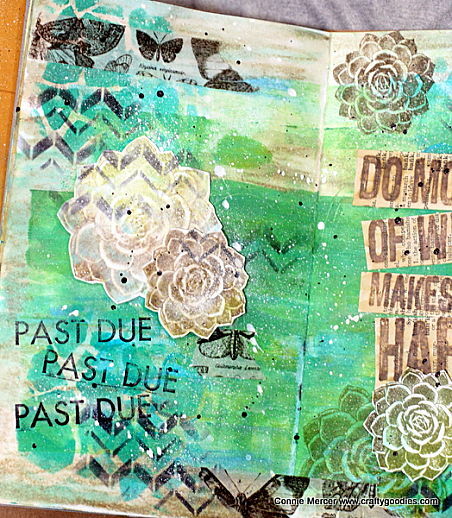 LOVING the colors and that 'past due'!!!!!!!!! !